If you have ever seen Joe Royer in the halls of Elder, you would know just by looking at him that he is a character. Joe rocks an unusual and daring hairdo: the afro. He claims he has been growing it for about three months and has no plans of cutting it anytime soon. Royer stands 6’-5″ and is one of the biggest presences in the halls. However, if you know Joe then you would know that he is one of the funniest and best personalities Elder has to offer. This past season, Royer started on the varsity football team as the team’s tight end. 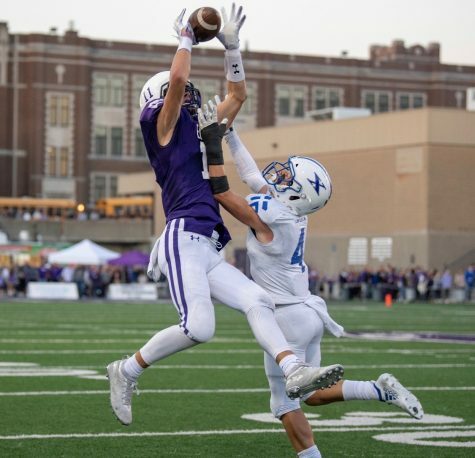 As a junior, he earned second team all-district and was awarded with first team all-GCL. 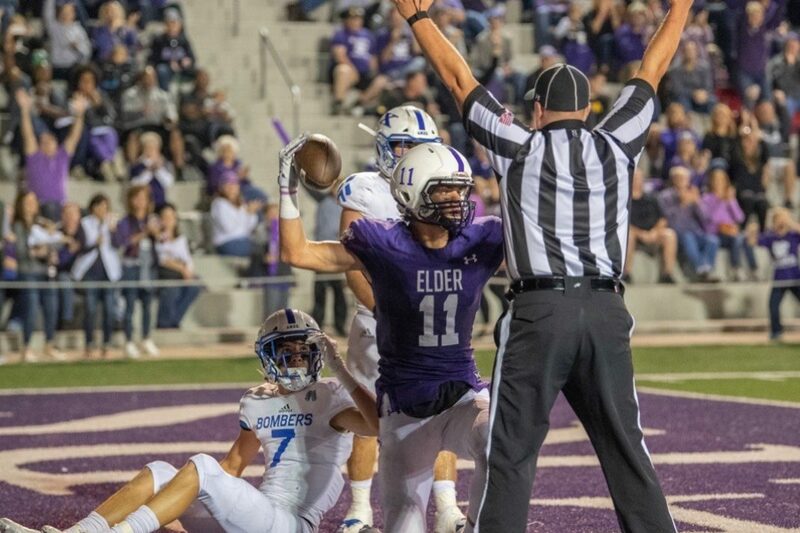 Joe finished second in the GCL in receiving yards, behind Elder’s very own, Kyle Trischler. I asked Joe about this past season. Royer’s success has caught the eyes of a few programs. On November 10, Royer got invited to attend the Boston College game against Clemson in a huge matchup that was the location of ESPN’s College Gameday. 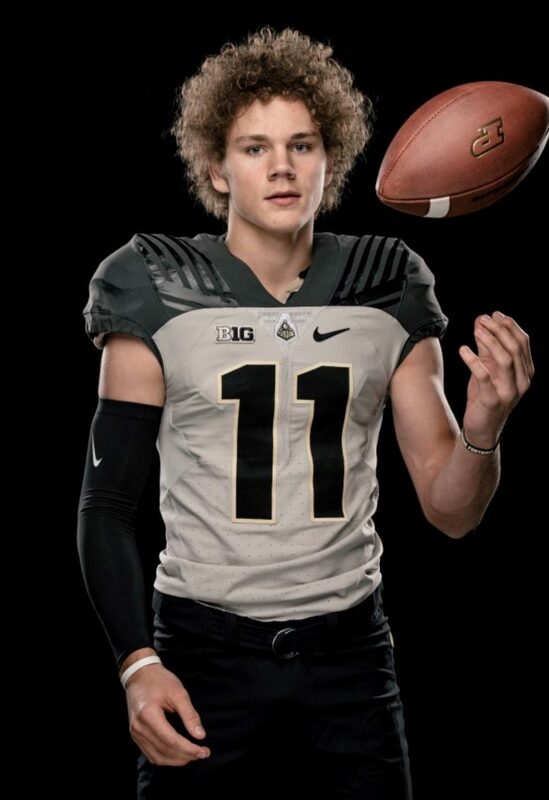 Just last weekend, Joe was invited to go to Purdue’s game, and visit the school. He said that immediately after the Boston College offer leaked, more schools were interested in him. I asked Joe where his dream school is, and he told me that his ideal situation is to play down south. He mentioned that LSU and Ohio State are high on his list. He said that he will need to work hard next year to achieve some of his goals. One of Joe’s big hobbies is music. Last year, driving home from school with Joe, he would always take the aux and play one of his many playlists. I do not always throw around the word “fire”, but that is literally what his playlist was called. I asked Joe what genre of music is his favorite, and he told me that he loves hip-hop, but to never count out some old music when he is in the mood. Joe’s character is what makes him truly special. I have known Joe since the third grade, when he started school at Our Lady of Victory and played on the same basketball team with him from third grade to sophomore year at Elder. All through that time, he has never failed to make me laugh. If we are coming off a disappointing loss, Joe is always the first person to try and lighten the mood. Royer is one of the wittiest kids I know. Sometimes his jokes can come off as vulgar or extreme, but receives jabs right back at him. Carmine Domenicone has nicknamed Joe: “bana”. Carmine claimed that Joe looks like a banana during freshman basketball and his taken off from there. Speaking of basketball, Joe will be transitioning from football to basketball in a hurry as the season starts this Friday against Fairfield. Joe expects a fun season. Juggling both sports and school is very difficult, and I asked him which sport is his favorite. He said that whichever sport season that he is in at the moment is his favorite sport. I hope that you have been able to get to know Joe better than you previously knew him.